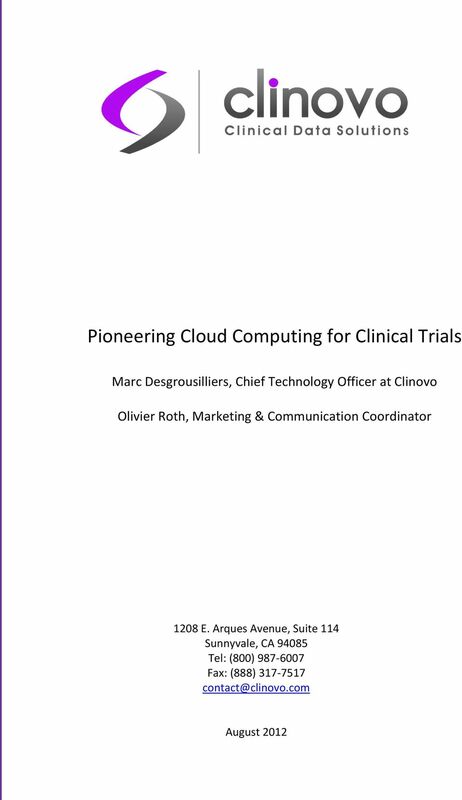 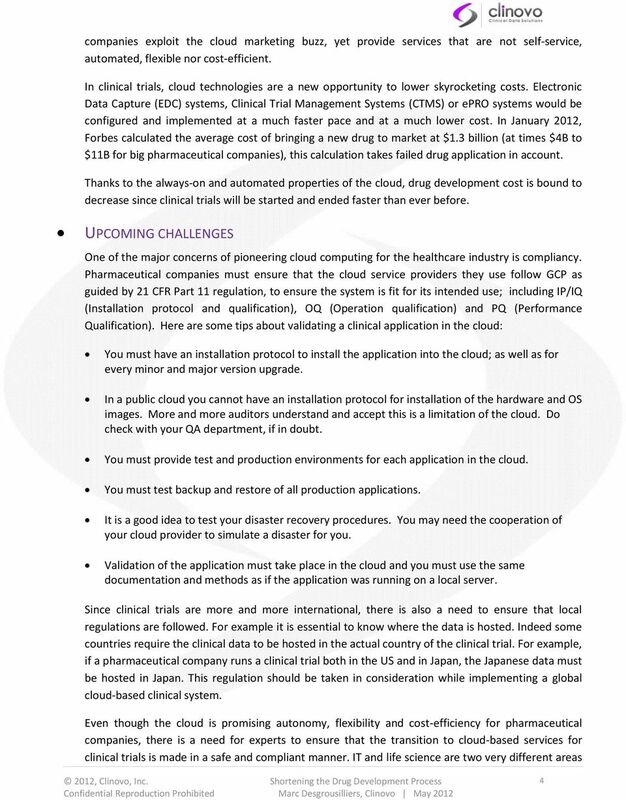 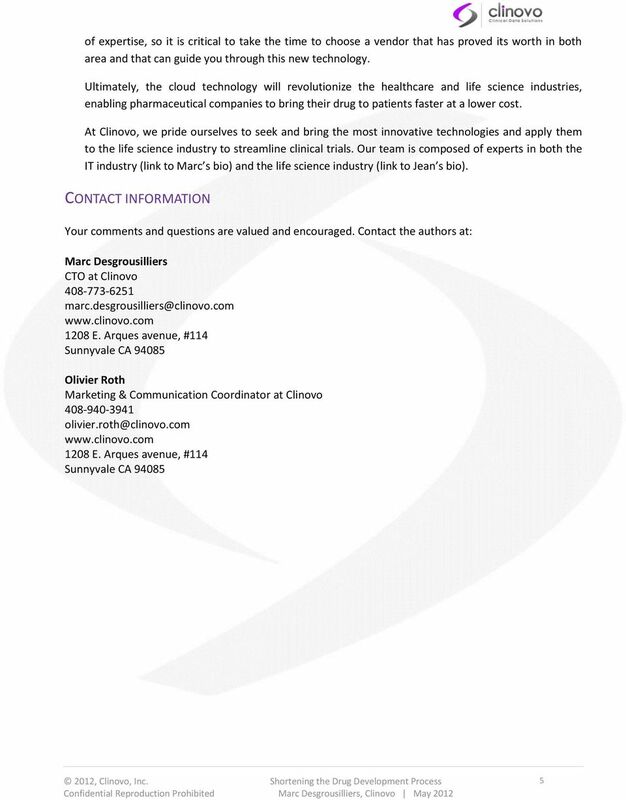 Download "Pioneering Cloud Computing for Clinical Trials"
MAKE THE SWITCH TO ELECTRONIC DATA CAPTURE Sophie McCallum, Director of Operations, Clinovo INTRODUCTION Electronic Data Capture (EDC) collects clinical trial data electronically rather than on paper. 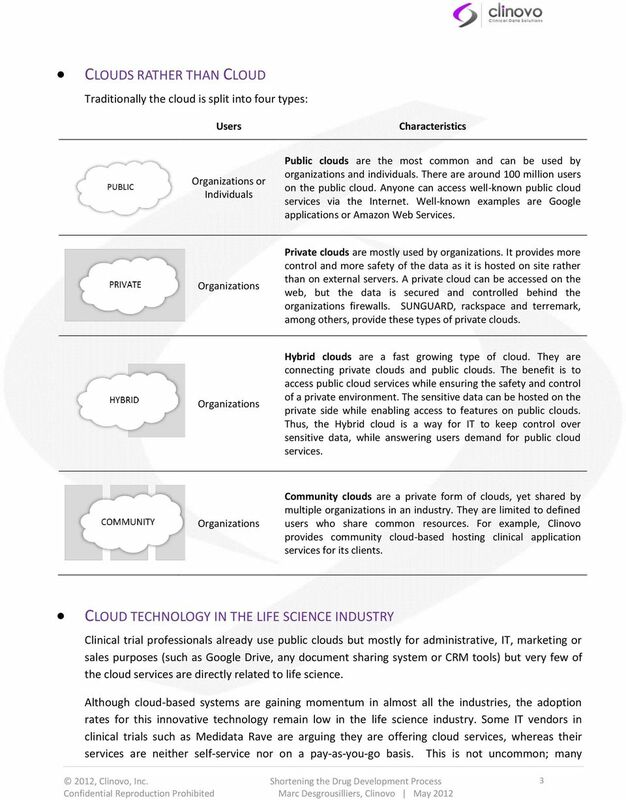 A Hotel in the Cloud Bruno Albietz bruno.albietz@ehl.ch 079 308 3056 Cloud Computing: Any interest for the hospitality industry? 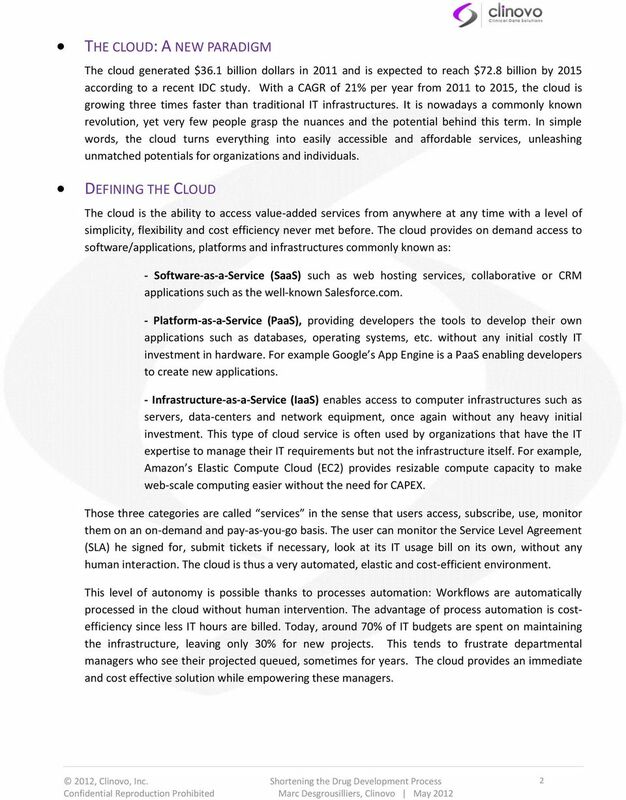 The new paradigm for hosting and delivering services over the internet?